This is a follow-up to my earlier post about the Grace Period (which is part of the Safety Net design of my classes). As I've known for a while, there are some students who do not use the grace period for unexpected disruptions to their regular schedule. Instead, they treat the grace period deadline as the "real" deadline (understandably, since that is the deadline in D2L), and the result is that I end up sending them lots of grace period reminders. That has been my anecdotal impression anyway, and this semester I chose this grace period reminder pattern as my data analysis project (each semester, I try to choose one thing to track and analyze to see what I can learn). So here are the results so far! Even just after two weeks of tracking, the experiment has been illuminating. I waited to start until Week 3 so that people would hopefully have settled into a schedule of their own. So, at the end of Week 3, I checked to see how many students had received four or more grace period reminders from me during the week (which is to say, either every day or practically every day, Monday through Friday). It turned out that there were 17 students (out of 90 total) who had received four or more grace period reminders, which was more than I expected. Far more than I expected in fact. So, on the Friday afternoon of Week 3, I sent an email to those students that explained the value of making their own schedule. That's something I also mention often in the daily announcements, but my guess is that the same students who are doing their work at the last minute are also probably the same students who do not read the daily announcements. I tried to write the email as simple, straightforward, totally upbeat and proactive, nothing punitive, no sense of a penalty — just a sincere hope that they would create a schedule for the class that would help them get the work done on time. In the email I mentioned the simple strategy of finishing up the current week on Saturday and starting the next week on Sunday so that there are no deadlines at all during Monday through Friday. I also included a link to a more detailed page about other possible schedule strategies: Designing Your Own Schedule. Then, in Week 4, I did not send grace period reminders to those students who were "listed" from the week before. Instead, I just checked off on the list how many reminders they WOULD have received if I had been sending out the reminders. At the end of the week, I learned that of those 17 students, 8 of them would have received four or more reminders again in Week 4, but 9 of the students would have received three reminders or fewer. Now, there is no way of knowing whether or not my email intervention really contributed to that improvement; it could just be the up-and-down chaos of people's lives. In any case, 9 of the 17 students did better. So, of the 17, I removed those 9 from the list (so they will get reminders next week per usual), leaving me with 8 students who continue to be "listed" and will not get reminders next week. I sent around a follow-up email to those students, urging them again to make their own schedule. Since a number of these students had other problems in class during the week, some of them had already gotten that message from me in other emails we had exchanged. I kept this follow-up email very simple; I'm not quite sure what intervention I will try next week for any students who remain listed once again. By the time, we will be filling out midterm grade reports, so maybe I can coordinate it with that; I'll have to wait and see next week! In addition, five new students cycled on to the list, receiving four or more grace period reminders from me during Week 4. So, I sent them the same email I had sent to the 17 at the end of Week 3. This time, I received an email response back from an unhappy student who thought I was scolding him. I really do not want students to feel scolded, but at the same time some of the comments in his email made it clear that he still did not understand the value of creating his own schedule, so I wrote him back about that again, responding to the specific concerns in his email. You can see my response here. Update: I realized another useful piece of data to track in this experiment would be the number of people who DO complete the week's work before Sunday. So, in Week 4, there were 19 people (out of 90) who had completed all of Week 4 before Sunday. Midterms were taking place in many classes this week, so I thought I would take a worse hit than I did. But it turned out better than expected! A lot more people were added to the list than last week (11 new listings), but I'm guessing quite a few of those were people who got clobbered by midterms. But that's still a good argument for working ahead: if you work ahead, you can take a week off in this class for midterms! Anyway, I had 7 people cycle OFF the list, which I thought was great to see for midterm week, and with 11 people getting added, that brought me back up to 17 people listed as we end Week 5, just like at the end of Week 3. In terms of repeat listings, yes, there are some folks who have been listed for all three weeks: Weeks 3 and 4 and 5. There are also quite a few people who have been listed twice. So, that's something I am keeping track of now also! I'll be able to update the "ahead of schedule" on Sunday morning (I'm writing this update on Saturday)... since for most people the Project assignment is a revision assignment, I'm hoping that maybe there will be an uptick there, or at least not too big of a hit as a result of midterm season! I'll update this post as I learn more from week to week about how these interventions are working. This is something I feel is extremely important; in fact, if the one and only thing people take away from my class is a better awareness of how to manage their time, I would consider that a real victory! Most students use the grace period once or twice a week, and that's exactly the idea... but I am glad that I am now trying to do something for the students who are instead using the grace period as a way to put all the burden on me for setting their schedule. Since I don't know anything about their other time commitments, I am the WORST possible person to be making their schedule for them... but it is what they apparently expect me to do. That is definitely not good, and I really hope that by intervening directly with students who are using (i.e. 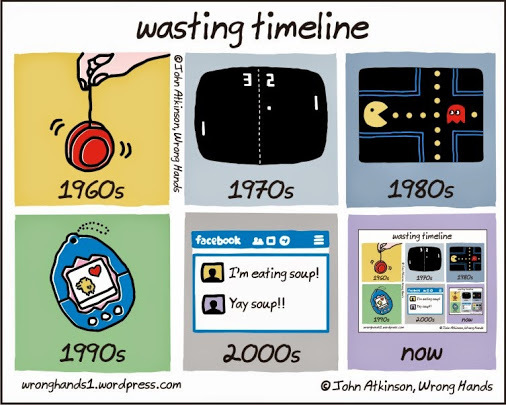 abusing) the grace period that way, I can turn it into a learning opportunity. I think it's worth the risk of some disgruntlement and pushback if more students can indeed make their own schedule for the class. D2L does nothing to help me with this process. I cannot search the Gradebook on multiple fields, and I cannot easily monitor who really is doing the work at literally the last minute; there are all kinds of D2L data that would indeed be useful for me to have in a simple spreadsheet form but those data are simply not available to me. 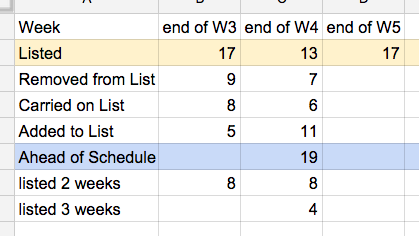 So, I'm managing this process with a couple of ingenious Gmail searches and some text manipulation to help me summarize the grace period reminder email activity at the end of each week. It's not really a lot of work (maybe a half hour of my time max over the course of the whole week), but it's also no thanks to D2L... despite all its claims to big data, ha ha. But that's a subject for a separate post.